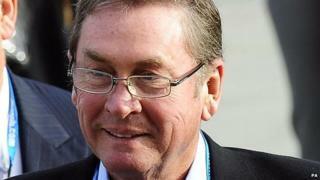 Former Conservative Party treasurer Lord Ashcroft says he is quitting the House of Lords. Lord Ashcroft, a former Tory deputy chairman, said his other activities did not allow him to "devote the time that membership of the Lords properly requires". In a statement, he said the polling work for which he has been known in recent years would continue. He first became a member of the Lords in October 2000. In July 2010, he gave up his non-domiciled tax status to remain in the Lords after a law was passed requiring peers and MPs to be tax resident and domiciled in order to remain in Parliament. His tax status had long been criticised by his opponents as he donated millions of pounds to the Conservatives, particularly in closely-contested marginal seats. More recently, he has been heavily involved in polling, which is carried out in individual constituencies. Writing on Twitter after announcing his intention to step down from the Lords, he said retired members could still keep their titles and use the facilities if they wanted to. Traditionally there were no means by which peers could leave the Lords, but under the 2014 House of Lords Reform Act, they are able to retire by giving written notice to the Clerk of the Parliaments. In his statement, Lord Ashcroft referred to comments by Lords Speaker Baroness D'Souza that "retirement at the right time should be seen as a condition of membership of the House of Lords - a duty as well as a right". He said: "I agree with the Speaker, and have concluded that my other activities do not permit me to devote the time that membership of the Lords properly requires." Video Should members of the Lords retire?